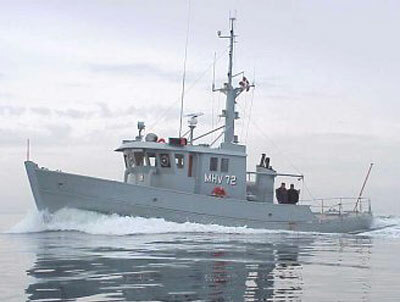 The Home Guard Cutter MHV 72 SIRIUS. These cutters were the first to be designed and built especially for the Royal Danish Naval Home Guard. All previous vessels serving with the Home Guard, had been decommisioned naval vessel. The original wooden wheelhous was modified in 1963, and finally replaced 1981-85 by a modern aluminium wheelhouse.